Domestic dogs are primarily omnivores. An omnivore is an organism that eats both plants and other animals as a primary food source. 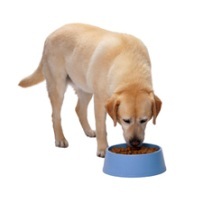 A dog's diet should consist mainly of proteins, carbohydrates, fats and water. 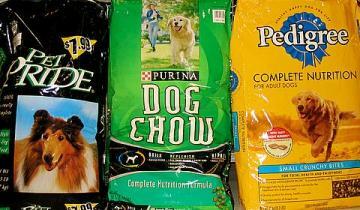 Human foods that can be fatal to domestic dogs are moldy cheese, onions and chocolate. Dogs can go days without food and lose anywhere from 30-40% of their body weight without dying. But a 10-15% water loss could be fatal. The average size dog requires around 30 calories per pound of body weight per day. Larger breeds of dogs need only about 20 calories per pound, while smaller breeds need about 40 calories. Puppies need twice as much protein and 50% more calories than older dogs in order to grow properly. Puppies must eat 4 times a day until the age of 3 months and 3 times a day until 6 months. After 6 months, they should eat twice a day for the rest of their lives. To learn about how a dog reproduces, click here.